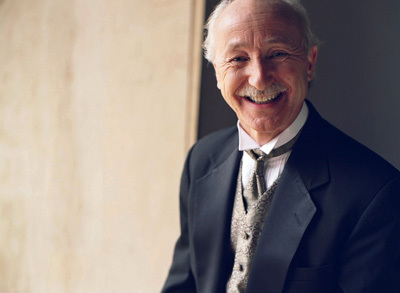 Equally adept at conducting classical and pops programs, Albert-George Schram has led a wide variety of repertoire for many orchestras in the U.S. and abroad. Schram is currently Resident Conductor of the Nashville Symphony and Resident Staff Conductor of the Columbus (Ohio) and Charlotte symphonies. Schram has also worked with a wide range of artists. Whether he’s conducting for LeAnn Rimes or a holiday concert combining forces of orchestra, chorus and children’s choir, Albert-George Schram leads concerts with the highest respect for the orchestra and charms audiences with his panache. He is truly one of a kind! When I work with George, I know I’m going to enjoy both his tremendous talent as a conductor and his exceptional personality. He “feels” the music and knows how to follow the exact written material while at the same time letting improvisation in when appropriate. I can’t recall an occasion when the Columbus Symphony has performed the music of Mozart with more skill and expressive sophistication … Schram and the orchestra’s “Prague” had drama and direction, without ever stepping beyond mezzo forte or pushing the tempos. The performance had elegance, wit, deftness, sophistication - it did everything but get up and ask you to dance.